Touch Of Sparkle: Huge Queen + Adam Lambert auction to raise funds! Incl. 2 VIP sets & chair from Aus & NZ tour. "Touch of Sparkle is a project [in the UK] run by Adam Lambert fans (on an unofficial basis) to provide care packs to cancer patients. The project is run in aid of the Addenbrooke s Charitable Trust"
"Huge Queen + Adam Lambert auction to raise funds! Incl. 2 VIP sets & chair from Aus & NZ tour. 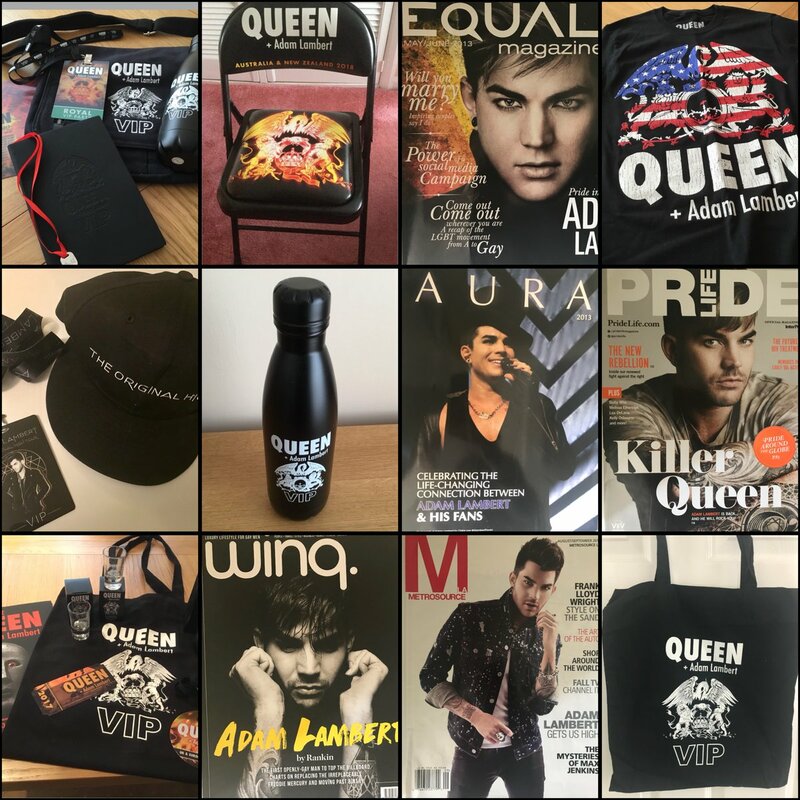 THANKS to @GlamaLynda1, @SusiWil, @lambrasoqueens, @Glambert_Angels, @_AOStarlighter_ , @shirlcharlton, @Mariacmoller, Meegan & Susan for the fab donations!" I love the Glambrits! They have been so loyal and so active in their support of Adam. And they lots of great charitable work in the bargain. God bless these fine people!